The first time I tried to get into medical school I failed. One of my biggest barriers has been my own insecurities and a feeling that I wasn’t smart or good enough. 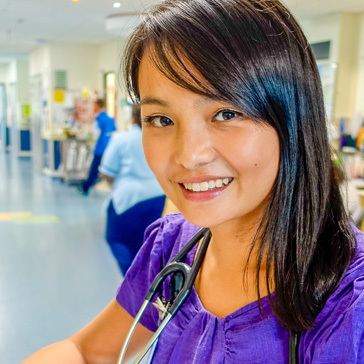 Angela is a Malaysian-born New Zealand Doctor, entrepreneur and board member. She is passionate about fighting for equality, and has an impressive portfolio of governance and leadership experience. As well as her doctorate, she has completed courses at Cambridge and Harvard University, has been a volunteer firefighter, and recently joined the Board of Inspiring Stories. Inequality stems from individual circumstances and choices and I do my bit there as a doctor. Inequality stems from marginalised communities not having a voice and I do my bit there as a social entrepreneur. Inequality stems from bad decisions made by good people and I do my bit there as a board member.